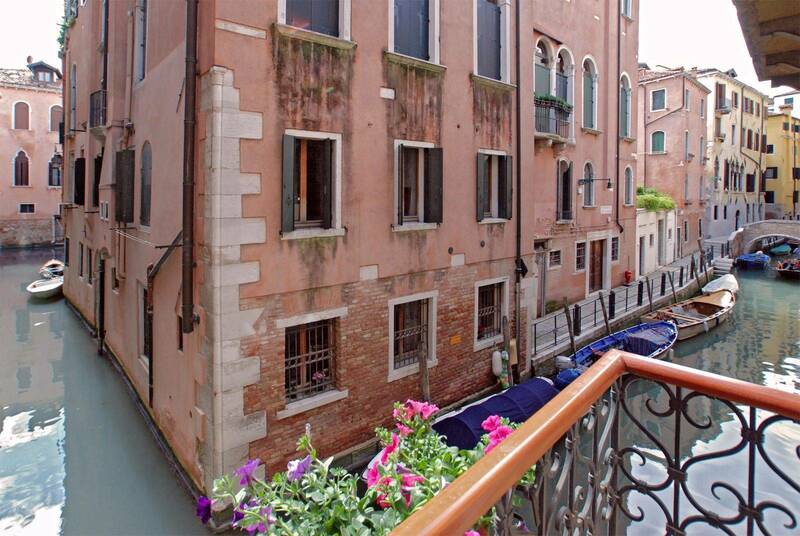 The Angelo Raffaele is in the San Marco District and has tranquil canal views. 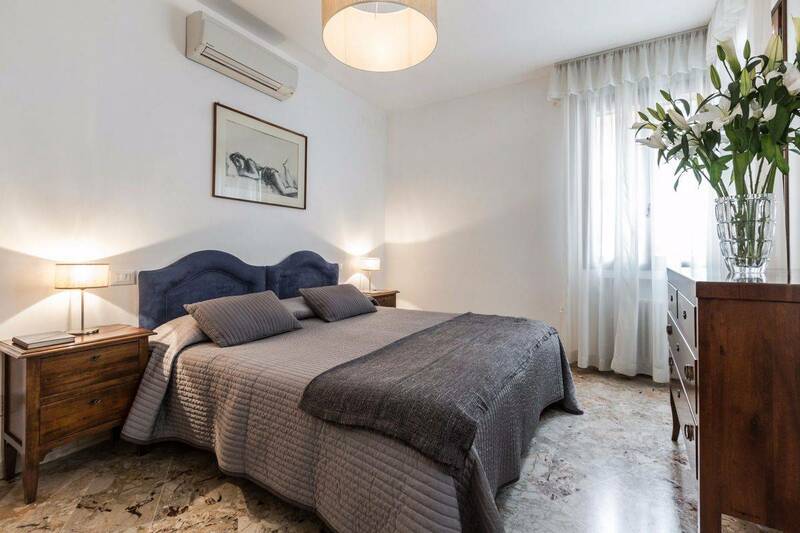 It is very close to the major attractions but the area is known by local residents to be one of the best spots in Venice’s historic center for its quiet and beauty. 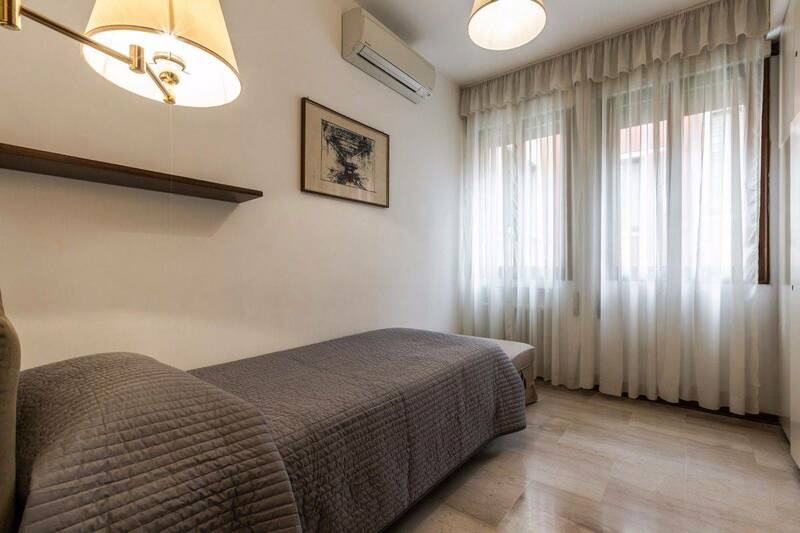 Angelo Raffaele is located on the first floor in 100 square meters and has two large double bedrooms (that can also be set up as twins on request), one single bedroom, and a comfortable living room with an ample dining area. The sofa in the living room is a double sofa-bed. The brand new kitchen has a small balcony with canal views and there are two full bathrooms, one with a shower and one with a bathtub. 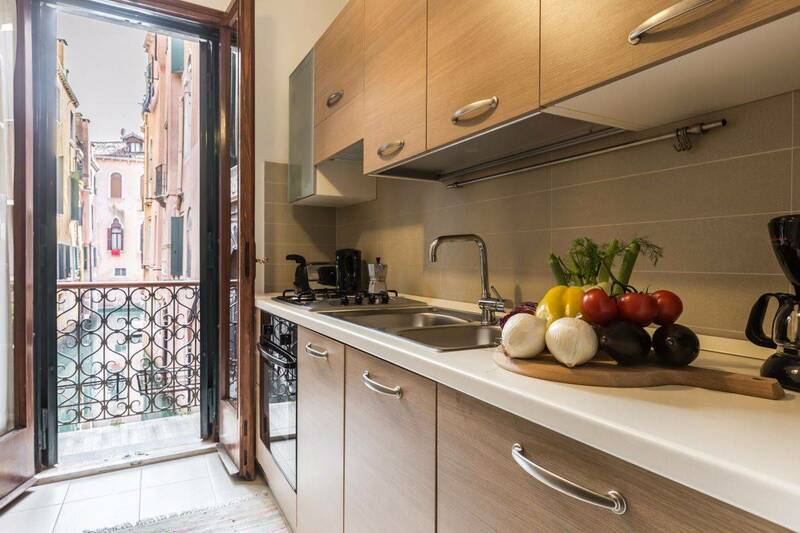 The vaporetto (water bus) stop and a supermarket are each only a short walk away and there are plenty of excellent restaurants and cafés in the neighborhood. 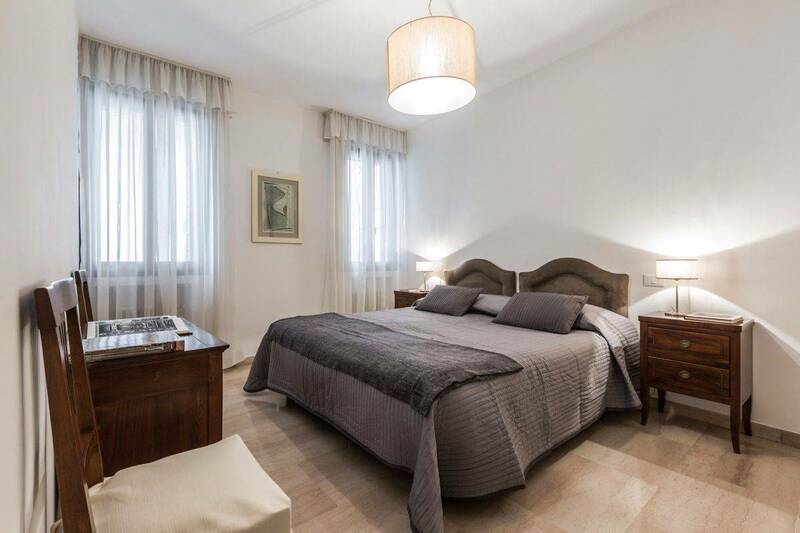 Recent renovations to the Angelo Raffaele include air-conditioning as well as climate controlled heating. Sky Satellite TV provides English language TV channels and other amenities include Wi-Fi, a flat screen TV and brand new electrical appliances. The washing machine is shared with one other apartment in the building (Angelo Michele). 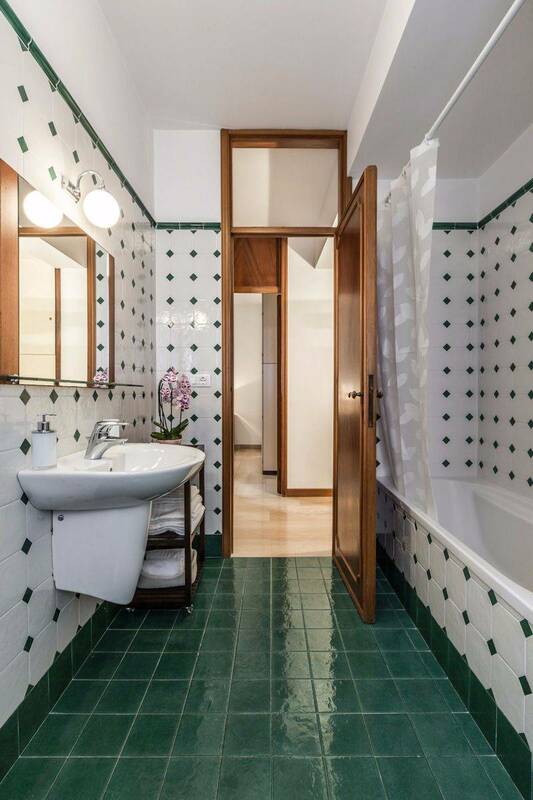 The Angelo Raffaele is part of the larger property, Palazzo Degli Angeli, which is composed of the other two “Angelo” apartments on four floors sharing the same entrance hall on the ground floor. 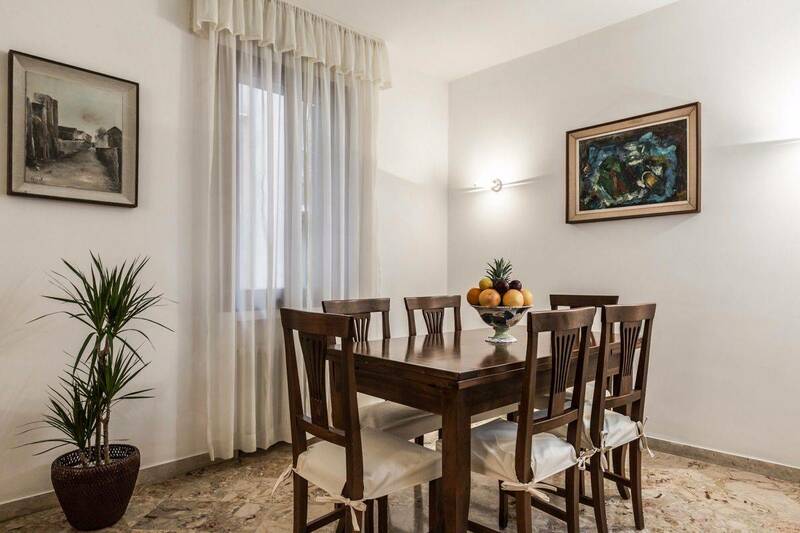 Altogether, the Palazzo degli Angeli can comfortably host up to 21 people. 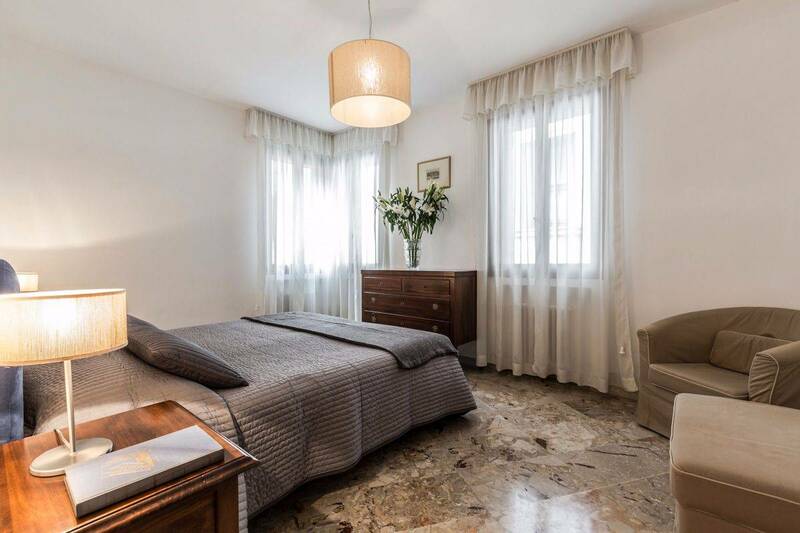 We had a wonderful stay in the Angelo Raffaele apartment. 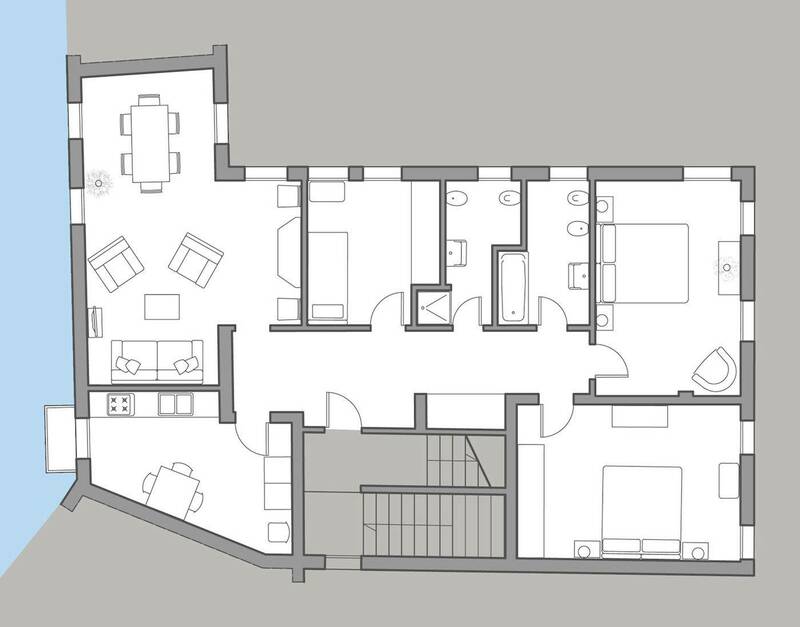 The apartment was exactly as pictured on the website. The rental agency was very responsive to questions. They arranged a water taxi to transport us from the airport to the closest vaporetto stop and had an agent there to greet us and take us to the apartment. The apartment was roomy and comfortable, with AC in all rooms and WiFi. Kitchen was functional with an adorable canal view. We felt very safe coming home to the apartment at night. 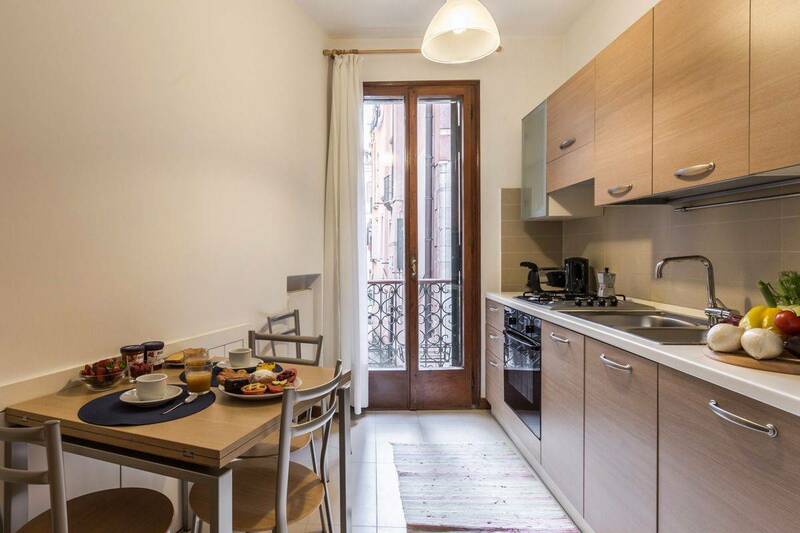 It is located steps from Campo San Angelo - close to anything. comodità e funzionalità. Ho soggiornato nell'appartamento "Angelo Raffaele" con la mia famiglia per otto giorni durante le vacanze di agosto. La casa è bella, comoda e luminosa in quanto ha finestre su tre lati dell'immobile: in questo modo è soleggiata sia al mattino, sia al pomeriggio. 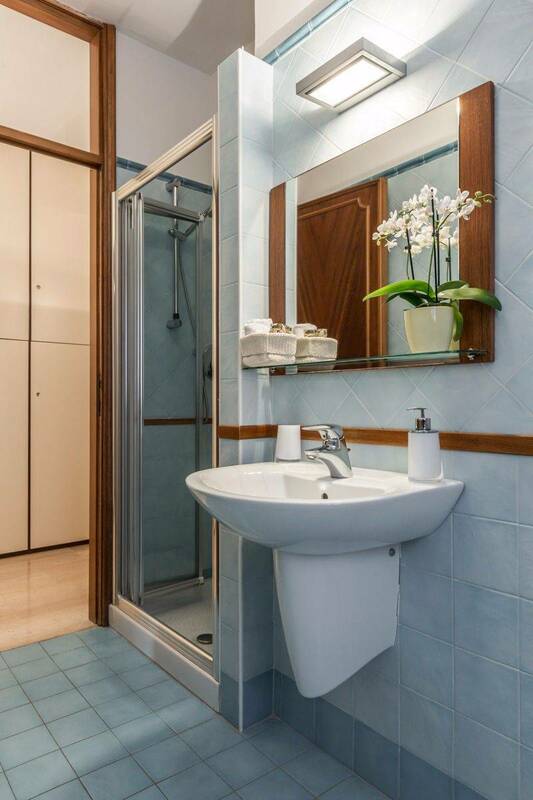 L'appartamento è dotato di tutto, l'aria condizionata è perfetta in ogni locale. 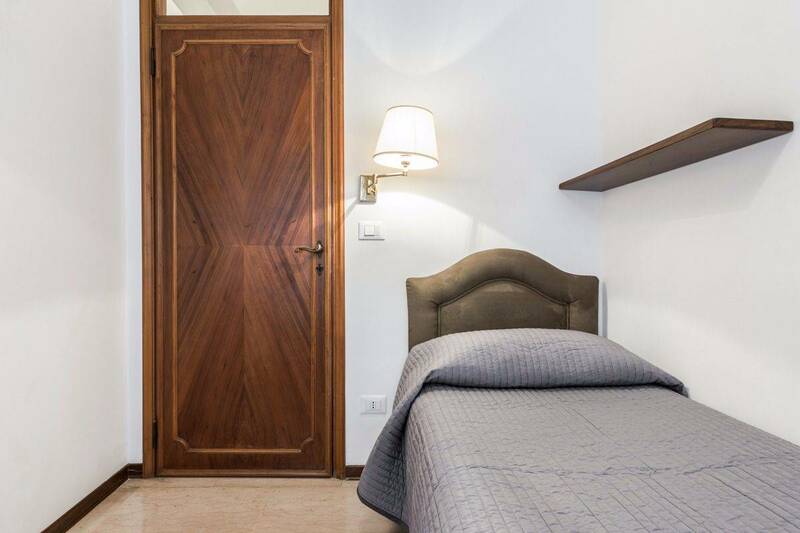 La casa è molto pulita e i "gestori" sono attenti ad ogni particolare: la tapparella poco funzionante, è stata riparata subito dopo il nostro arrivo pur essendo ferragosto. Siamo stati accolti con gentilezza e professionalità. 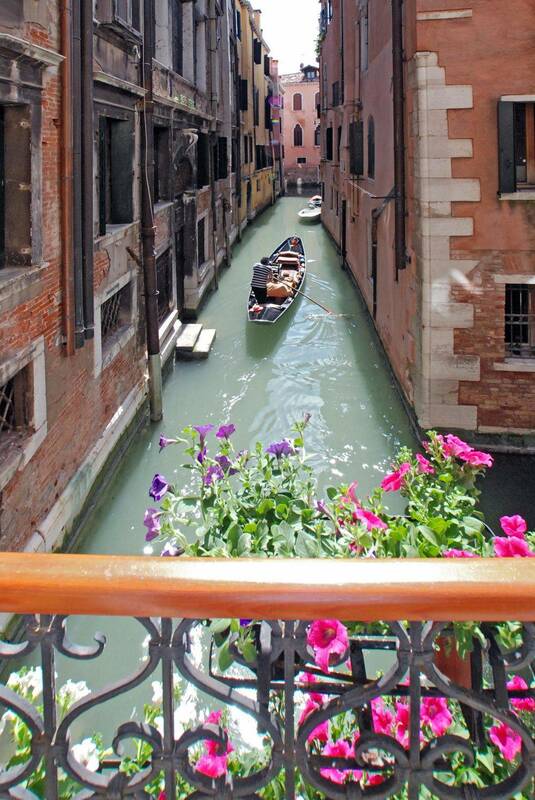 A Truly Venice experience! Fun being right on one of the canals. Apartment was just as described - plenty of room and well equipped. Support from agency was always there and prompt to response to and follow up our inquiries and requests. The location was ideal and all major sites very accessible. Very fond memories of our stay at Angelo Raffaele. 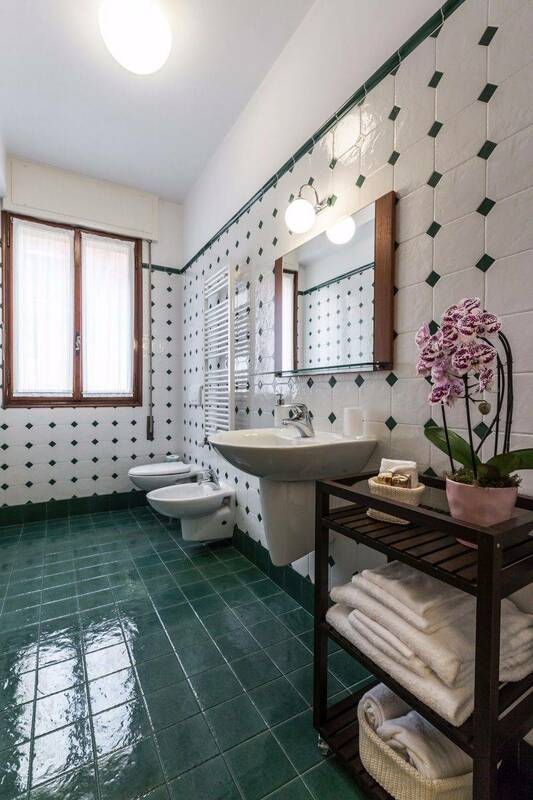 A wonderful place to stay in Venice! We enjoyed our stay here immensely. 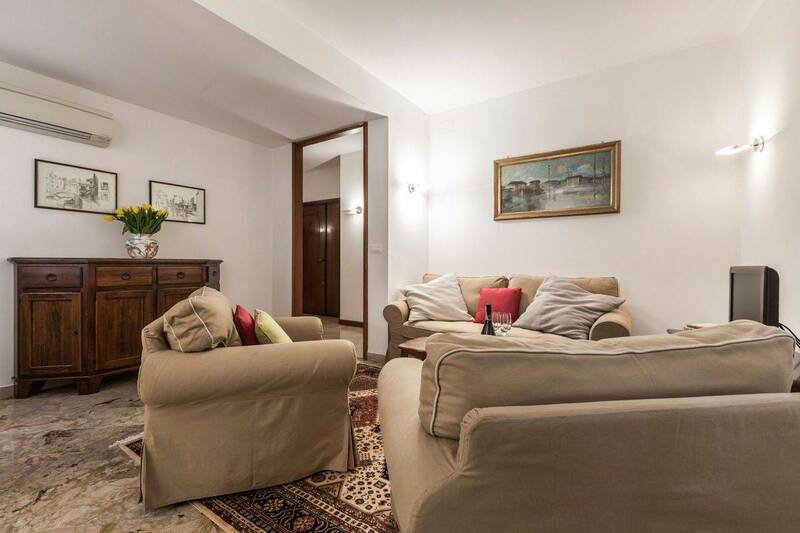 The location is perfect: between the two bridges (Academia and Rialto), close to San Marco yet nice and quiet. Part of the time we stayed with a larger group and occupied the entire palazzo, which was a lot of fun: enough space for privacy when we wanted it and for sitting down with a big group for dinner in the evenings. The view over the little canal entranced our children. Check-in was made slightly challenging because Truly Venice had booked a water-taxi for us from the airport...for two days after our arrival! However we all recovered without permanent scarring! The Truly Venice staff, particularly Gabriele were very friendly and pleasant. Fantastic apartment, 1st class service. The standard of the Truly Venice web site and the on line booking system is really good and easy to use. We booked a water taxi through Truly Venice and were given clear instruction as to how we would be met and transported to the apartment. The agent met us at St. Angelo vaporetto stop and walked with us the short distance to the apartment, assisting us with our luggage along the way. 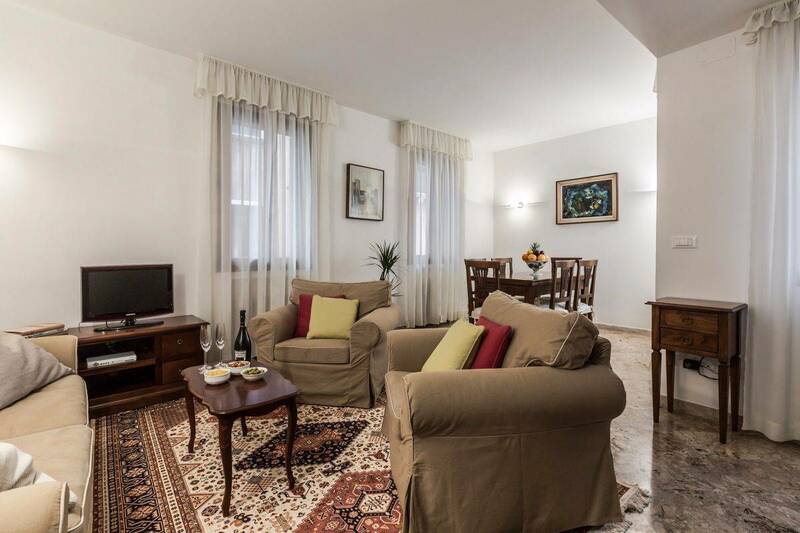 We were then shown round what is a beautiful, really clean and tidy apartment which is nestled in the San Marco region. This means that all the major sights of Venice are within a short walk. There are an abundance of restaurants in the near by vicinity of which I would recommend 'La Faluca'. Toward the end of the holiday the shower head in one of the bathrooms stopped working properly. So we phoned Truly Venice and within the space of an hour someone had called round to the apartment and fixed it. It is rare to get this level of care and attention from a company, and it was very much appreciated! 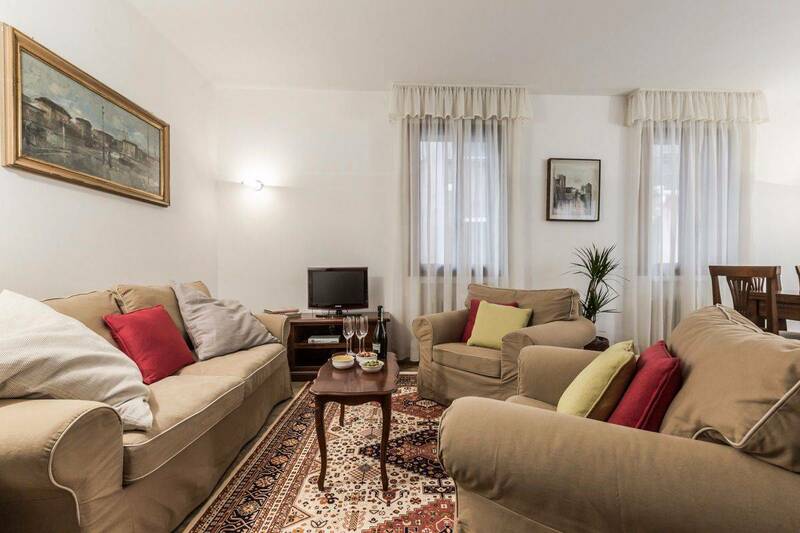 We would whole heartedly recommend this apartment and more particularly Truly Venice. Bellisimo! This is the second time I have stayed in this apartment. 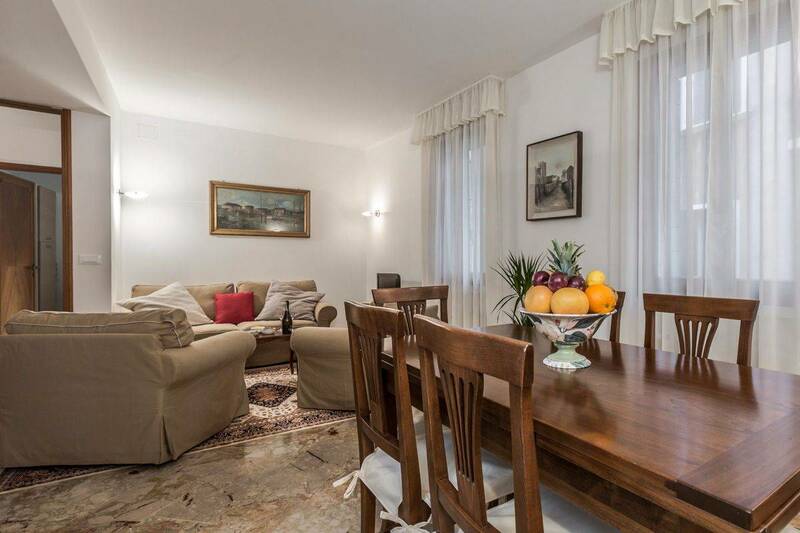 Spacious, clean, well-furnished and ideally located between the Rialto & San Marco. Excellent for arrival and departure at San Angelo vaporetto stop with only one bridge to negotiate. 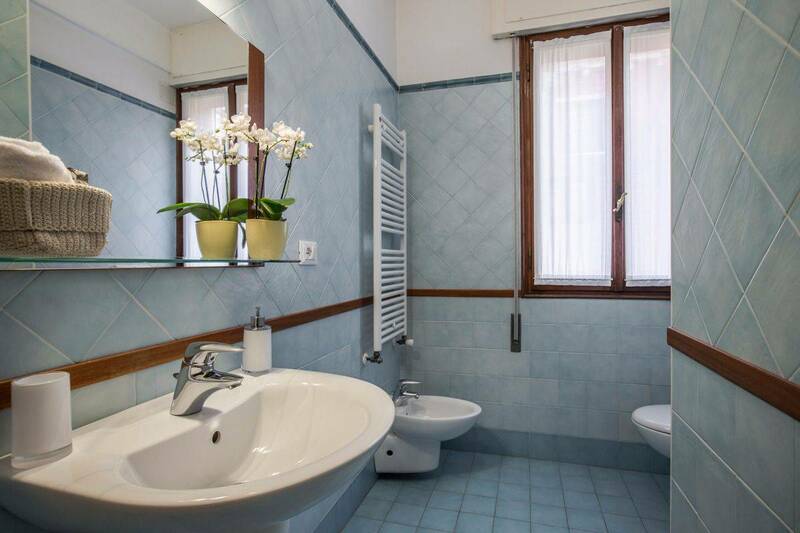 Plenty of room for guests with two bathrooms to share. Would continue to use this apartment and also Truly Venice.